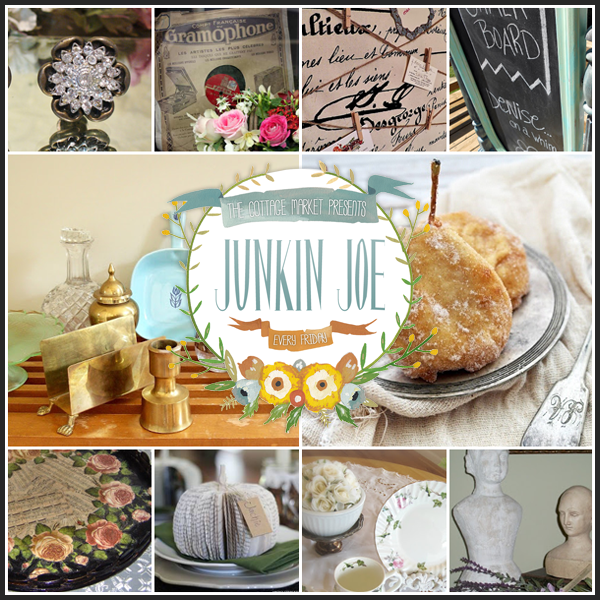 Welcome friends to another episode of Junkin Joe. 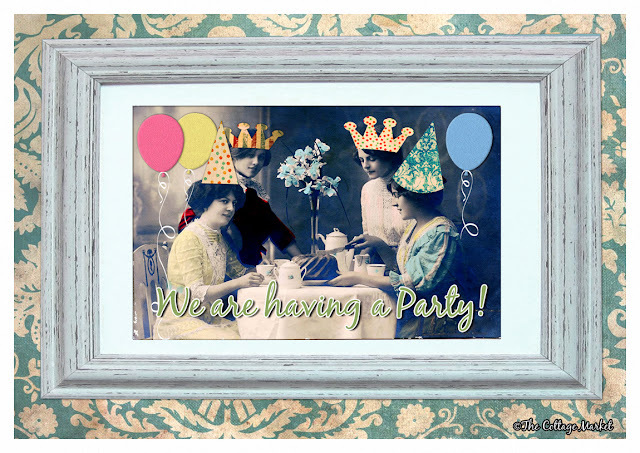 Come on in and check out some great features, finds and a fun linky party where you can share your upcycled creations, vintage finds, refurbished furniture, thrifty crafts, favorite dessert recipes, yummy veggie friendly dishes, we welcome everyone and would love for you to join us today. I also want you to know that my friend Keren from Free Pretty Things for You has a linky party on Wednesday and she has a section for Etsy Shops!!! Now let’s see what everyone has been up to and shine the spotlight on YOU!!! Let’s start the day out with a pretty vintage vibe! 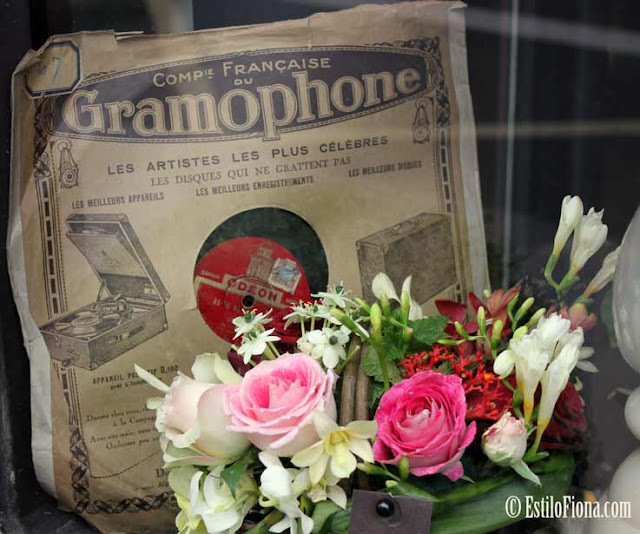 As we look into the window…it is filled with pretty blooms and vintage. Have a stroll over to EstiloFiona and enjoy. 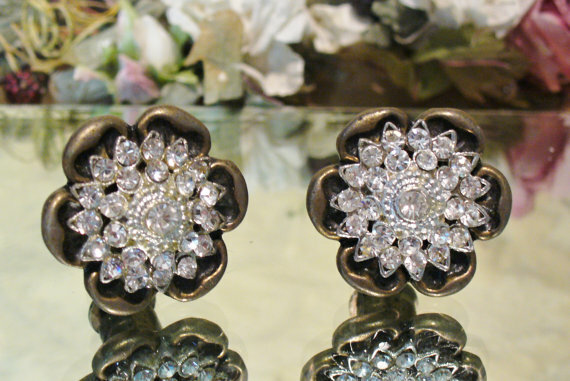 How about these beauties for a little vintage bling in your life! 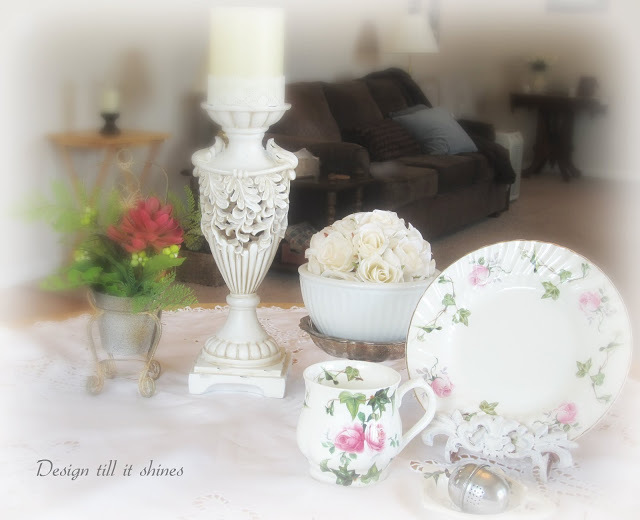 Shabby Cottage Chic has a real find here! 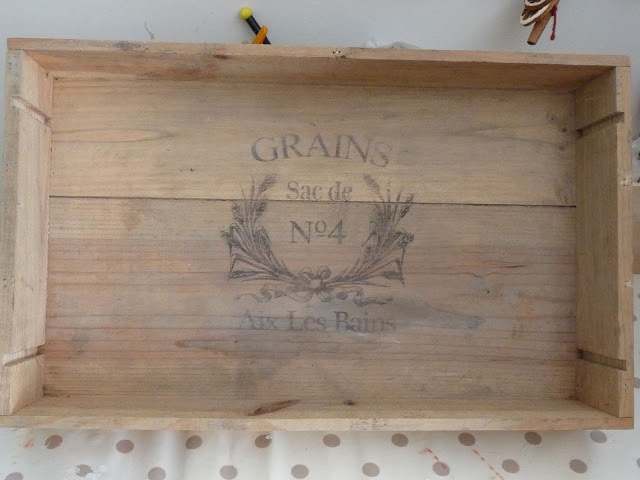 I love this simply crate…with a beautiful vintage graphic…it turns into a wonderful farmhouse accessory! 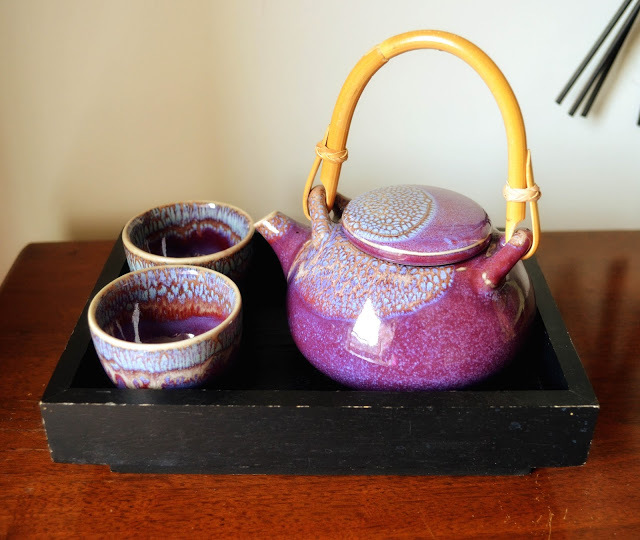 There are tons to see at this lovely blog from our friend over the pond! Drop by and have a cup of tea and enjoy. Drop by and maybe you will get to enjoy a sip of wine! Denise…on a whim is up to her upcycling ways again and that is always a good thing! 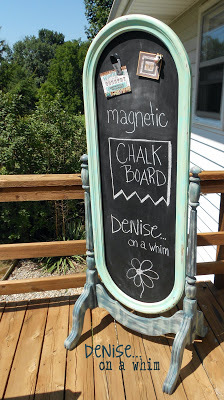 Check out this amazing chalkboard creation! I so love it…I need one of these in my kitchen…how great would it look with the weeks menu. By the way…it’s magnetic…how cool! Over at Homeroad…you are going to find a wonderful upcycled Driftwood Wind Chime Project. 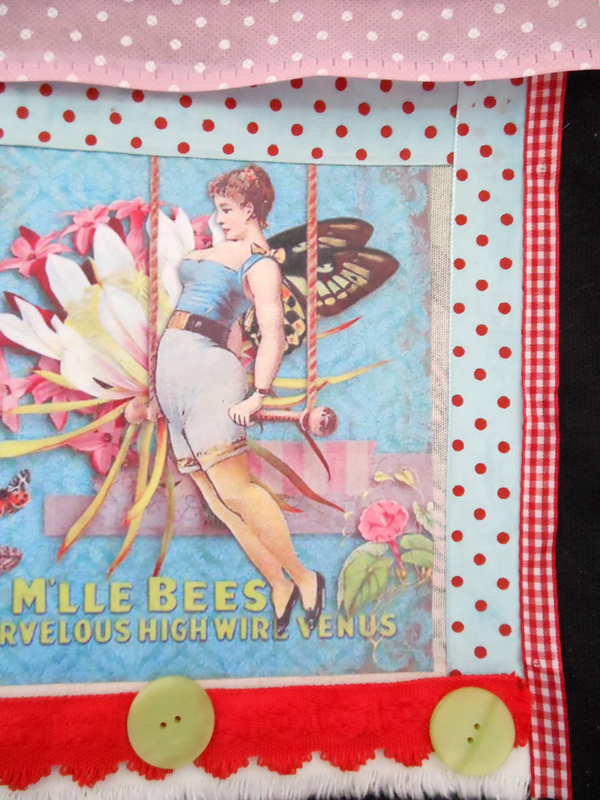 This whimsical creation was featured in Folk Life Style Magazine…CONGRATS…how exciting! 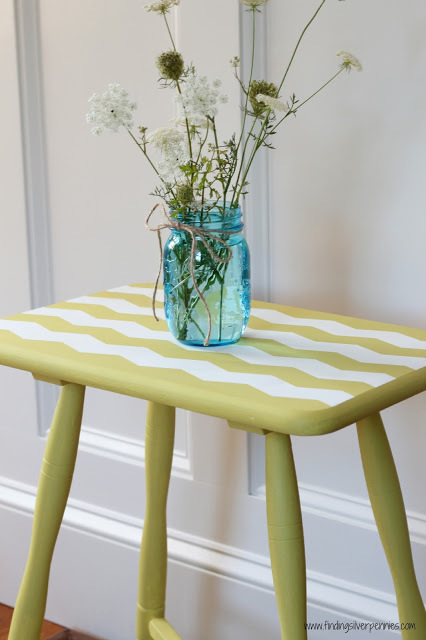 Now for a fun Painted Furniture DIY! First…did you know that there is Chevron Paint Tape??? Well there is and our friend Danielle from Silver Pennies is going to show us how to use it…her upcycled simple table has so much personality and pop now and it’s easy…drop by and you will see for yourself! By the way Danielle…the blue mason jar was the perfect touch! Fall is arriving over at Coastal Charm…the cooler temps are starting fade in and out and soon will be the weather of choice! If you want a treat…drop by her blow and check out her fabulous shop and all of the magical items she has! It’s like window shopping without leaving your home! 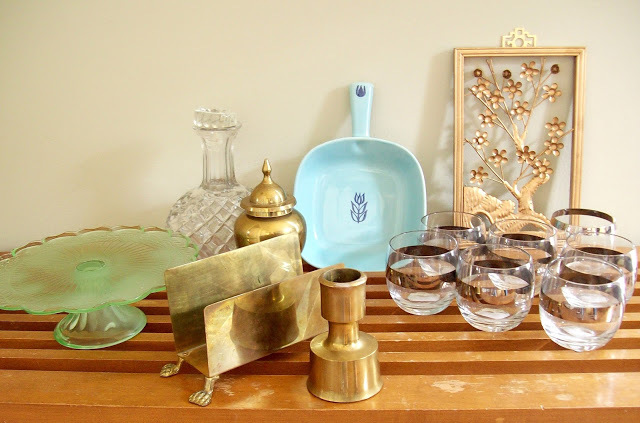 Vintage lovers…this is the place for you! Now how is this for some upcycled magic. created this fun message board from a bicycle tire…how great is this! 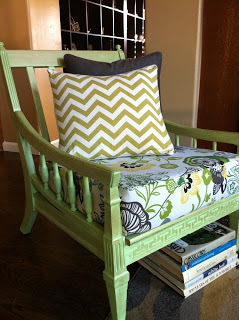 Artsy Vava has been up to her masterful upcycling ways again! Check out her latest! Awesome right! 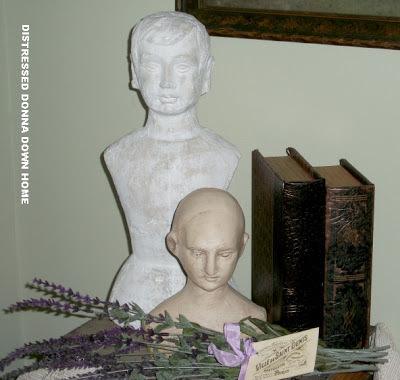 Cottage Wishes…drop by and see it all!!! Then…be INSPIRED! 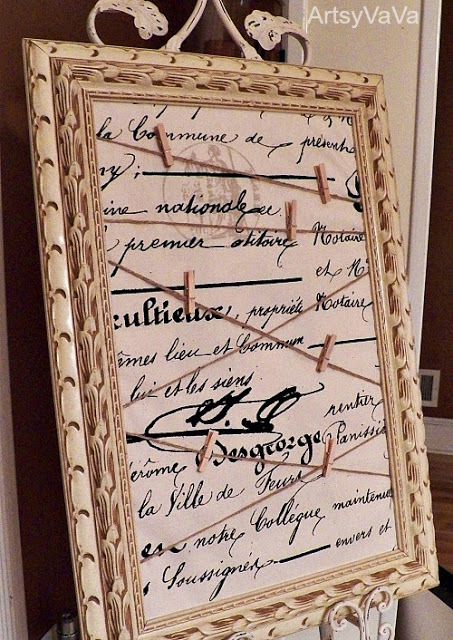 Decorated Chaos is upcycling and repurposing this fab frame…see what a little paint can do! You will want one of these Erase Memo Boards for your very own! She shares the DIY! 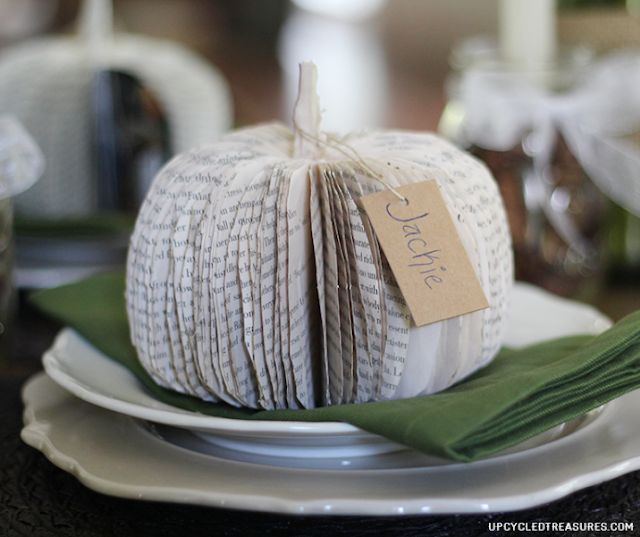 upcycles a vintage book and it is now ready for the Fall Season of Pumpkins! How wonderful does this look…can you image an entire table filled with these fabulous pumpkins…each with a name…get started and you could be done for Thanksgiving Dinner! Love these! 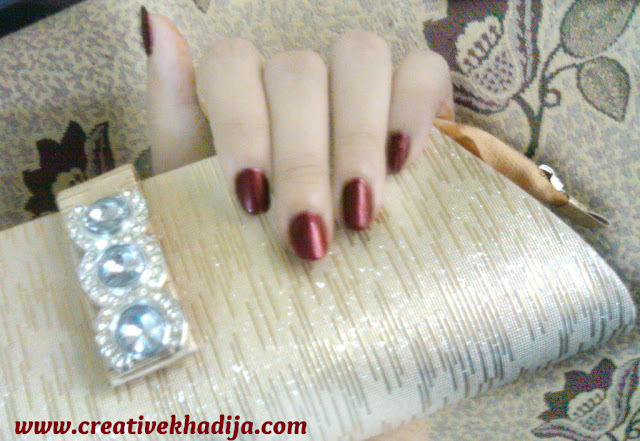 You can get the full DIY on this spectacular blog! Picture by picture…my kind of Tutorial! has an amazing before and after for us…I am going to show the gorgeous after…but check out the before on this fun and fabulous blog! You will have a wonderful time and be inspired! Distressed Donna is turning heads with this fabulous vignette…3 different ways! What a brilliant idea!!! Come and see the other 2…you will be inspired! shares a fabulous before and after and then shares the DIY…does this look like a 10 dollar find??? Check this one out ladies and create one for your very own! Drop by and see what she has been up to..one thing is for sure…you be smiling! has a special Cherry Cordial Milkshake to share with us…oh I so have to make one of these!!! 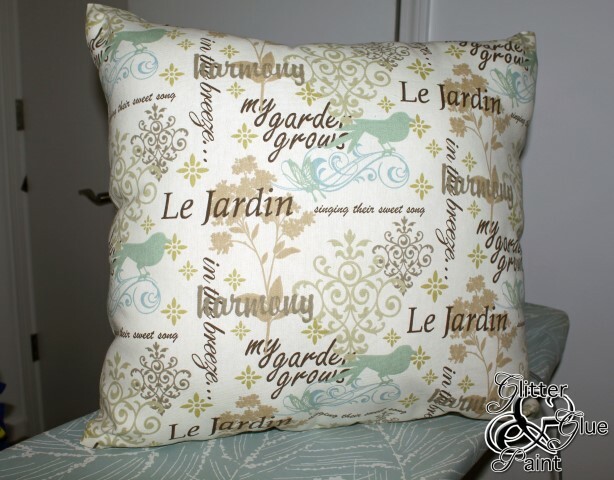 Has a No-Sew Pillow for us! Check it out! and enjoy her new thrifty find and a sweet little story! 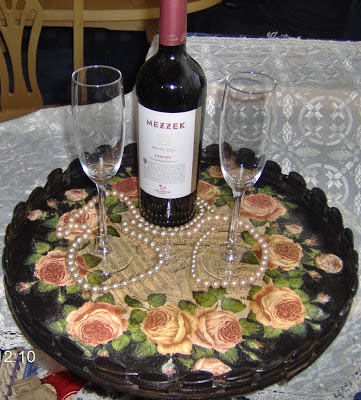 shows us a DIY that can transfer any table into something very special! With the miracle of transfer! Come and check it out…you will want to try this for sure! I give this an OOOOO-la-la!!! fills a table filled with them and they are simply divine! Cottage Chic lovers…this one is for you! 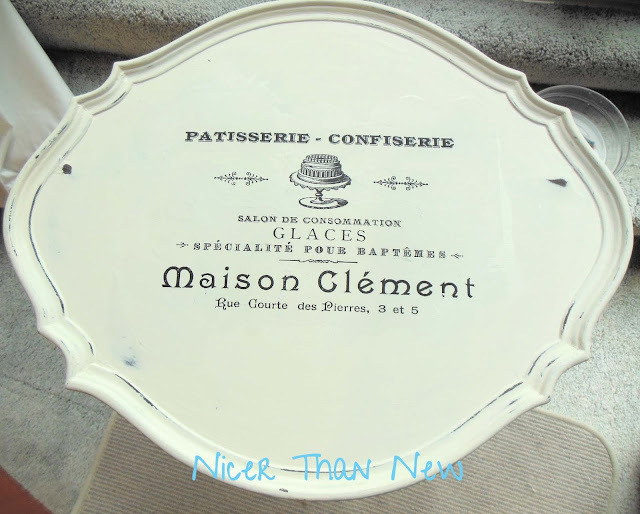 has a great vintage find…I can’t wait to see what she does with this fabulous globe! The Adventures of Two (Pyrex Crazy) Thrifting Sisters (and Their Sidekick Maddie) are up to their pyrex loving ways…check out these beauties in rainbow stripe PINK!!! Eeessh…talk about thrifting jack pot!!!! By the way…these gorgeous bowls were reunited with some old friends…you have to hop over to see who! Fabbys Living has set a perfect table for us…drop by and see the beauty…you will be amazed!!! What a wonderful friend…Howling at the moon heard that her friend would love to have these barefoot sandals for her little girl…so guess what…she made them for her…how sweet! 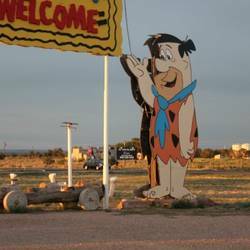 If you want to have a Yabba Dabba Do time! Then drop by Kat’s Almost Purrfect World and experience her vacation to …you guessed it…BEDROCK!!! will take care of that!!! Well there you have it! WOW…that was fabulous! What a great party and thanks for all the incredible treats! Thank you so much for featuring my memo board! You always have the kindest words for me and I really do appreciate it. What a nice way to start my day! Enjoy your weekend. Andrea THANK YOU!!! for featuring my French Graphic Table in your party! As a newbie blogger I am so appreciative of your support! You’ve made my day! 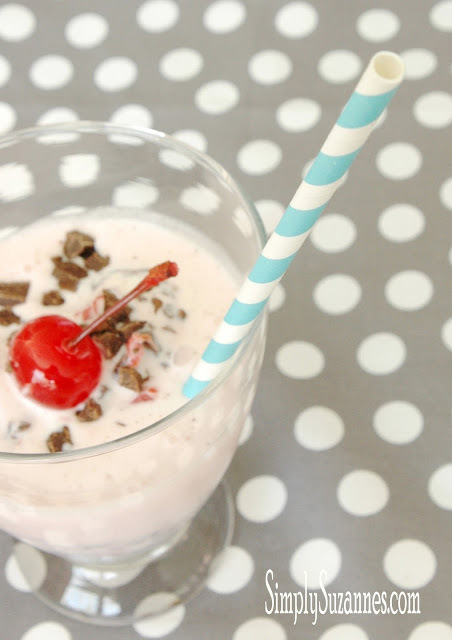 Thank you so much for featuring my Cherry Cordial Milkshake! And thank you for hosting another fun and inspiring link party! Andrea, you are so sweet! Thank you for featuring our project today. (It happens to be one of my very favorites) Have a fun weekend, lady! fabulous feautures, as always, andrea! happy weekend! Thank you so much for the feature Andrea and I hope you have a great weekend! Two heads are better than one! Thanks for featuring them. This has become like the best family reunion I have ever attended! Looking forward to what you are cooking up for us.